Young High School Leavers Get Educated, Engaged and Empowered! 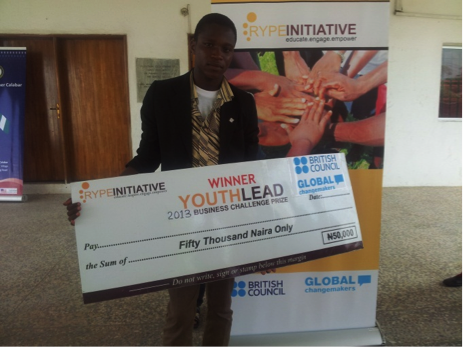 Starting out with a call for application in November 2012, RYPE Initiative (now known as iKapture Networks) recruited 30 high school leavers between the age of 18 and 24 for its annual Youth Leadership, Entrepreneurship and Development (YLEAD) program. The outcome of the project demonstrates the deep search and hunger for information, knowledge and impact in young people. 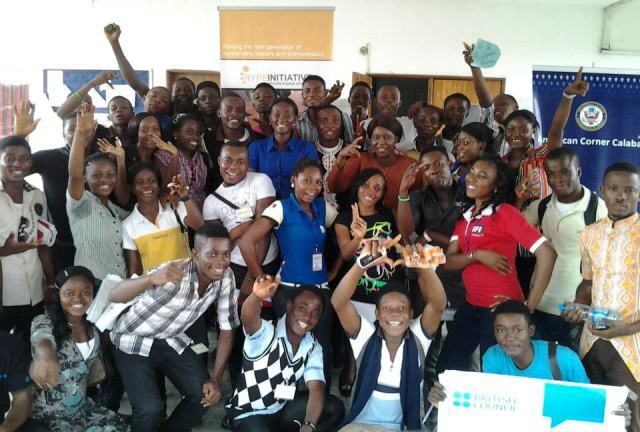 The 2013 YLEAD program was organized as a partnership between RYPE Initiative and American Corner Calabar with enormous support from British Council’s Global Changemakers (GCM). The sponsorship of British Council-GCM this year was a great booster and motivation for the success of the program. 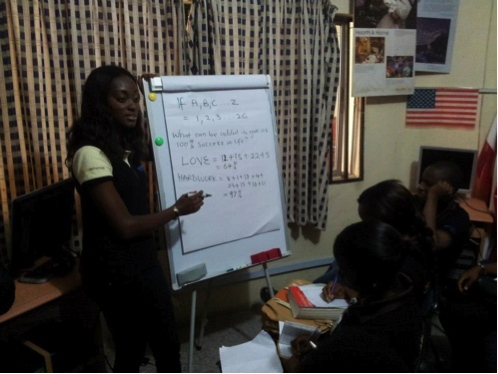 Beginning with a 5 day intensive training program from November 19-23, 2012, YLEAD turned out to be a huge success as evident in the various testimonials, informed decisions, success reports, attitude and behavior of our participants. Some of the components of the training included volunteering time outs at a community hospital and a primary school. From January until March 2012, participants were given a short internship break to learn various hands-on skills and to gain work experience. Some of the acquired skills include Information and Communication Technology, Social Networking, Photography and Video Editing. 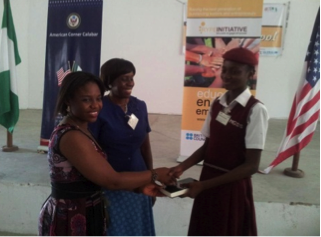 The high point of activities was the 2013 RYPE Smart Business Competition, organized to showcase the talents and ideas of young people and support the best with a mini start up grant of N50,000 ($315). This competition was a unique way to wrap up the YLEAD project for the year. 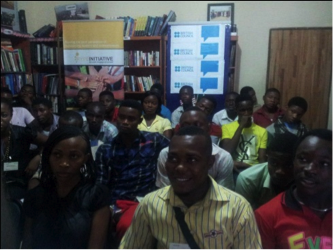 The competition was open to all 30 youths who had participated in the training and internship program. The creative and innovative ideas shared by all contestants only demonstrated that indeed youths have the potentials to shape our future positively. There is hope! Some of the ideas range from using our local materials and resources to create global standard products to improving the way mobile phone users recharge their mobile phones with airtime. Find here excerpts from the RYPE interview with the 17 year old who emerged winner of the competition – Solomon Ikpeme. Solomon’s idea is HOT! His business idea, House of Taby (HOT) was born from a hunger to revitalize the use of our cultural material in our daily outfit. He collects and uses pieces of a particular fabric called ‘Ankara’, to make fashionable designs – ranging but not limited to dresses, books, jewelry, shoes, bags, and gadget covers etc. He also deals with all kinds of beaded jewelry. Hats of all kinds are also in his ranges. He also intends to provide event management services like planning and decoration. Solomon: Really, I doubt words could capture how i feel. This training and competition had some of the very best of Nigeria here, there were so many brilliant ideas and yet… i just feel so honoured. To me, it’s more of a privilege than something i WORKED for.I am saying a BIG Thank You to the British Council-GCM, RYPE Initiative and the American Corner Calabar for giving us this opportunity. I also appreciate the founder and all our trainers, facilitators, mentors and everyone else. Youth LEAD has really changed my life. One week of changing lives – that’s what I call it. I look forward to help encourage my peers with what i have learnt. To RYPE Initiative and American Corner, I owe you loyalty. Youth LEAD has done too much for me. I thank the coordinators and the sponsors, British Council GCM for making this possible. I will love to say a big thank you to all my trainers and mentors at YouthLEAD 2012. They have imbibed the spirit of entrepreneurship in me; they helped me discover myself, my leadership abilities; and polish my communication skills. They taught me all I have to know to be a great Nigerian. May God reward you all greatly and bless you. I Promise you all that your effort will not be in vain, I will go out and do my very best! I want say thank you to RYPE Initiative, British Council Global Changemakers, American Corner Calabar and the founder, Grace Ihejiamaizu.